ONE SIZE DOES NOT FIT ALL! 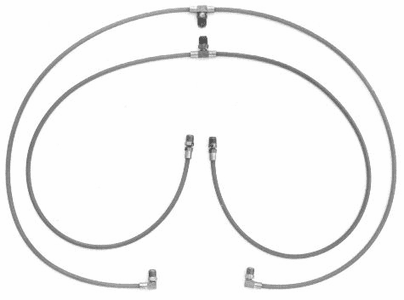 Other reproduction hose assemblies are "universal length". They are long enough to fit a Cadillac, but will squeeze into a Camaro if your form a loop in the hose. 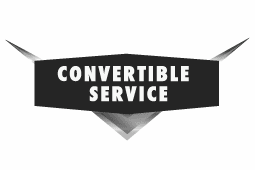 Convertible Service manufactures hydraulic hose assemblies specifically for each year, make and model car. The right length, the right fittings. They are made with the same high pressure super flexible nylon or rubber tubing, and the same brass fittings with swivel nuts, factory swedged in the same way as were your original hoses. Hose ends are either straight or 90 degree as per original assemblies. None of our hose assemblies are mass produced and kept in stock. Each hose assembly is manufactured one by one after your order is placed. This assures you of a fresh hose assembly; not one which has already aged for 2 years on the shelf. And most hose assemblies can be shipped the same day you order them!